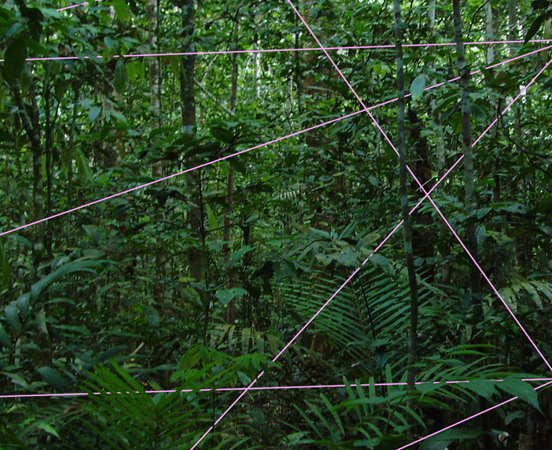 Daniel Steegman Mangrané, QR Constellation (detail), 2012–15. Courtesy the artist. We are excited to launch two new projects of art-agenda Dossier. Dossier #3: W.A.G.E‘s online tool for determining compensation of commissioned digital artworks, and Dossier #4: Daniel Steegmann Mangrané‘s QR Constellation. Both Dossiers will launch this week with two discussions on March 7 and 8. Dossier #3 and #4 are the first of a series of artists’ projects that is conceptualized as a Survival Plan for Broken Links, and which will be featured regularly on art-agenda’s website. The Survival Plan for Broken Links refers to a strategy of conservation, to support endangered or fragile animal species that are exposed to multiple genetic deficiencies. It consists of the introduction of reproductive ties between individuals with different genetic patterns, which is believed to strengthen the genetic codes of the species at risk and promote the reconstitution of healthy populations. Influenced by the positive effects of mongrelism, art-agenda’s Dossier section will approach digital artistic production with a The Survival Plan for Broken Links, functioning of two major strands: commissions and relaunches. art-agenda commissions will promote cross-species relations between various and apparently disparate artistic, social, poetical, and cultural elements. These projects foster transdisciplinary forms of exchange to bridge different modes of artistic, social, political, ecological, scientific, etc., research within our platform. For Dossier #3 art-agenda has invited W.A.G.E. to develop an online tool, which will set standards of compensation for artists developing online commissions. art-agenda relaunches associate the term “broken link” to the context of internet survival, and will consist of the repair and relaunch of inoperative or extinguished web projects. The relaunches operate as an archeology of digital media, with the goal of restaging and mediating the past and present of the internet and the artworks created on it, for it, within it. Dossier #4 is the relaunch of Daniel Steegmann Mangrané’s QR Constellation, a project for an online system of relations, initially conceived in 2012 and until now never fully developed. The QR Constellation combines key references for his research and imaginary, introducing the works 16mm (2009–11), Phasmides (2013), and Phantom (2015). Dossier #3: Saturday, March 7, 12–1:30pm at e-flux, 3rd floor, 311 East Broadway, New York, NY 10002 Discussion on commissioning and producing, with W.A.G.E. (Lise Soskolne), Filipa Ramos, Stephanie Luce, Suhail Malik, Andrew Ross. Dossier #4: Sunday, March 8, 11am–12pm at Independent art fair, 548 West 22nd Street, NY 10011 Presentation of Daniel Steegmann Mangrané’s QR Constellation, with Filipa Ramos, Karen Archey, Sarah Demeuse. Entry at Independent is free for those arriving at 11am, limited to space availability. art-agenda dossier presents in-depth special features on major exhibitions and theoretical debates; newly commissioned artists’ projects in various formats and media; conversations and interviews; historical reviews; and more.